Models of Vor Frue Kirke's Christ and the Aposltes can be closely examined in Thorvaldsen's Museum. Did you know the famous furniture designer who designed what Americans call “The Chair” was Danish? Or that one of the world’s important sculptors was from Denmark? Or that a brewer created an entire museum filled with art for the city of Copenhagen? Among the many things to do in Copenhagen, there are a number of museums that are well worth a visit. Thorvaldsen’s Museum is the oldest museum building in Denmark and is found in the Christiansborg Palace complex. Bertel Thorvaldsen is one of Denmark’s most well-known artists. He lived from 1770 to 1844 and created sculptures that can be seen around the world, including a grave monument for Pope Pius VII in St. Peter’s Basilica in Rome. Thorvaldsen’s most famous statues in Denmark are those of Christ and the Apostles found in Vor Frue Kirke. Thorvaldsen’s Museum was built beginning 1839, while Thorvaldsen was still alive, and opened in 1848. Thorvaldsen's Christ, the most emulated model for future statues of Christ. Thorvaldsen’s Museum displays the original plaster models of his sculptures that are found both in Denmark and around the world. Thorvaldsen’s own art collection of contemporary art and objects of art from around the world was also donated by Thorvaldsen to Copenhagen. Visitors can view Thorvaldsen’s models, sketches, and reliefs. For opening hours, visit Thorvaldsen’s Museum’s website. Admission is free with a Copenhagen Card. Scandinavia is known for its design. The history of Danish design is exhibited in the Designmuseum Denmark. During our visit to the museum, the focus was on furniture design. The exhibits featured the designs of Hans J. Wegner and Børge Mogensen in celebration of their 100th anniversaries, as both were born in 1914. In 1949 Hans J. Wegner designed “The Chair.” He continued to create more than 500 chairs. The Designmuseum Denmark is exhibiting 132 of these chairs. Aficionados of modern design will love the chance to view so many important chairs all in one place. Romeo was having the time of his life and couldn’t take enough pictures, regaling me with stories of how important each piece was. While interesting, I kind of found the museum to be a bit of psychological torture. You will never feel as tired and feel every single ache in your back and feet as when surrounded by over a hundred chairs in which you cannot sit. For opening hours, visit Designmuseum Denmark’s website. Admission is free with a Copenhagen Card. Chairs, chairs everywhere, but not a place to sit. Carlsberg is Denmark’s beer. Travelers to Copenhagen can tour the Carlsberg Brewery. They can also visit Ny Carlsberg Glyptotek, the Copenhagen museum founded by Carl Jacobsen, the brewing magnate. Ny Carlsberg Glyptotek contains collections of antiquities, French art, and Danish art. For opening hours, visit Ny Carlsberg Glyptotek’s website. Admission is free with a Copenhagen Card. Just a block away from Ny Carlsberg Glyptotek is the Nationalmuseet, or the National Museum of Denmark. As the name implies, the Nationalmuseet’s exhibits cover the history of Denmark from prehistory through the middle ages and renaissance. For opening hours, visit Nationalmuseet’s website. An exhibit in the Nationalmuseet. 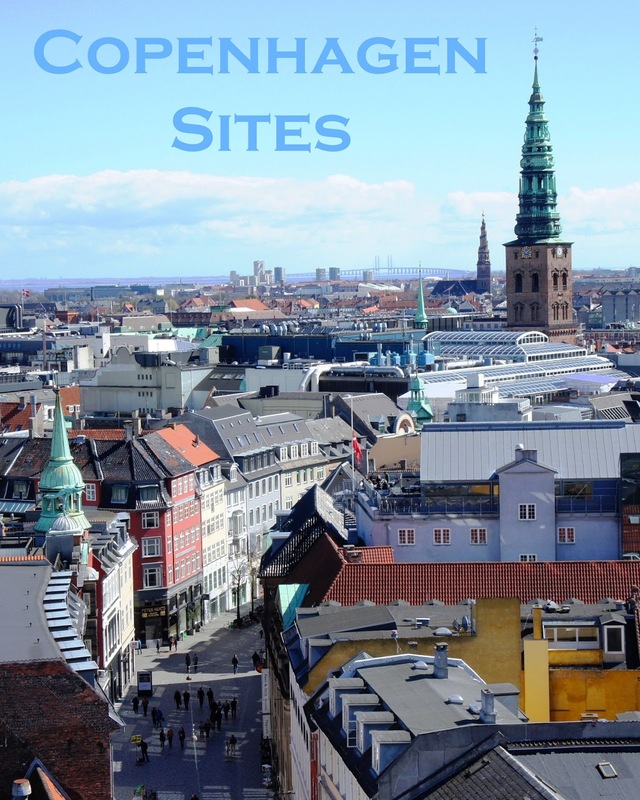 In my opinion the best view of Copenhagen is from the top of Vor Frelsers Kirke. But the second best view of Copenhagen can be seen from the top of Rundetaarn. The Rundetaarn was built in 1642 by King Christian IV as an observatory and is the oldest observatory in Europe. The top of the brick tower is reached by a spiraling ramp, and there are exhibits along the way. For opening hours, visit Rundetaarn’s website. Admission is free with a Copenhagen Card. The view of Copenhagen from atop Rundetaarn. Each of these museums is unique, and they don’t take very long to visit. 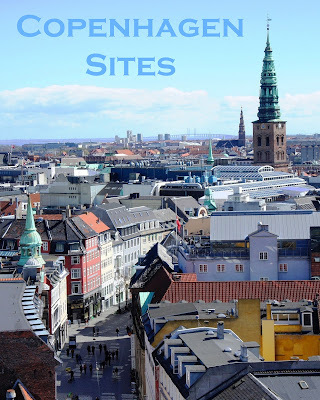 Meandering through Copenhagen’s museums will provide an educational component to your travels through Copenhagen, in between riding rollercoasters in Tivoli Gardens and drinking beers along Nyhavn.